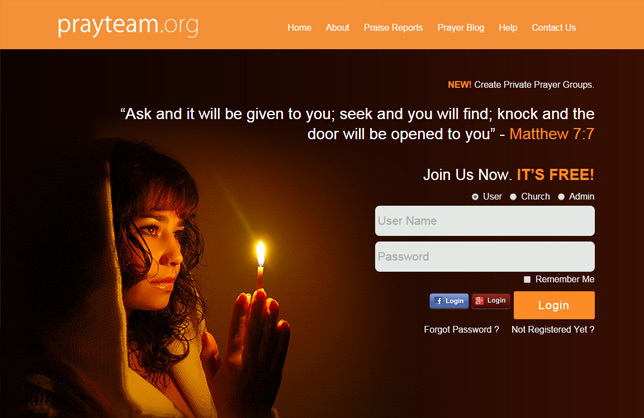 PrayTeam.org is open for all to post prayer requests. Sometime in life there are many personal and pressing matters that need prayer and support from all around. You can also pray for others. How wonderful to take time and do this! Some prayer requests are very personal that cannot be shared to close knit groups. These are prayers that are hurting deep within ones heart. While you may pray for these items sincerely, it is always good to share some of these burdens to others who really care and has only your well being in mind. These are ordinary people with extraordinary passion to pray for others. These prayers are heard and answered. Private prayer groups can be added.